When Heloíne Moreno left her hometown of Bauru, Brazil, locals mourned. The striking young woman had quickly risen from anonymous local daughter to highly sought-after fashion model. Now she was heading to the far-off city of Richmond, Virginia, to take the next step in her new career. Before she got her break, she had lived with her mother and grandmother in a small house. She helped with bills by working as a go-go dancer at nightclubs like Labirinthus, which led to her first modeling gig, promoting the popular gay dance club. Moreno had been studying English and Portuguese, and had a side job translating for local tourism companies. Modeling wasn’t a passion, but she was curious, and she knew she wanted to go to the United States. She found a job as an au pair for a single mom here in Richmond and set out. Moreno researched her chosen career by watching episodes of America’s Next Top Model, which she described as one of the most practical and significant resources. She built a portfolio, learned the poses, and made a few connections. Then she went to New York. There, she spent three months with her portfolio going from casting call to casting call, walked in a few fashion shows, and signed with an agency. But she kept her apartment in Richmond. When I got signed, I learned and understood more about who I am as a model,” Moreno said. “New York modeling is very high fashion, super tall and skinny. I can’t grow more. I was frustrated in the beginning. I learned I needed to be happy with who I am. Moreno took the experience and connections back to her studio apartment in Richmond, where she kept receiving casting calls from all over the country. Moreno also found work here, and walked her first local show at Carytown Fashion Feeds the Byrd in 2014. Moreno has worked with local boutiques including Fab’rik, Trunk Up, and Tailor, as well as designers including Tangee’s Closet, TJ Sewer, and Victoria Lynn Designs. She also works with national brands who have a local presence, like Bebe and Lily Rain. If there’s a show to walk in Richmond, she tries her best to do it. Most of her work isn’t local, but she calls Richmond a good home base, especially with access to the train. Since 2012, her modeling career has taken her to New York, Salt Lake City, and Hawaii. Her specialty is glam modeling, which mostly means lingerie and bikinis. She’s found success in competitions and pageants, notably winning the crown of Miss Brazil USA in 2014. She recently placed second in Maxim’s Finest competition, among a field of thousands. She’s set her sights on a $50,000 prize from Jet Set Magazine for her next event. In the first round of public voting, she’s held strong in first place. The competition ends April 11. She asks local supporters to vote for her daily at jetsetmag.com/model-search. While Moreno travels for these competitions and photo shoots, she works closely with a list of Richmond-based photographers for her photo submissions. 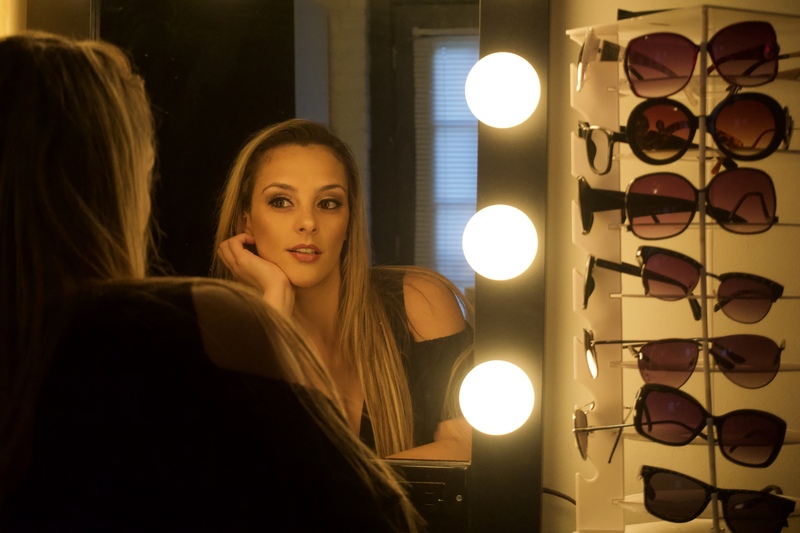 Her favorite photographers in Richmond include Glen Dandridge (GD shoots), Michael Hostetler (Michael Hostetler Photography), and Bobby Stephis (Nothingman Photography). Dandridge took the photos that secured Moreno’s runner-up position in the Maxim contest. Keep an eye out–chances are that you’ll be seeing Moreno in a lot more magazines, especially since her first cover in late 2017 on Implied Magazine. And if you’re in Richmond, you can see her in person this April when she walks in RVA Fashion Week.